Daily Dose: Erica Eso, "Gun-metal Grey"
You get a little bit of everything with the new album from art pop ensemble Erica Eso. 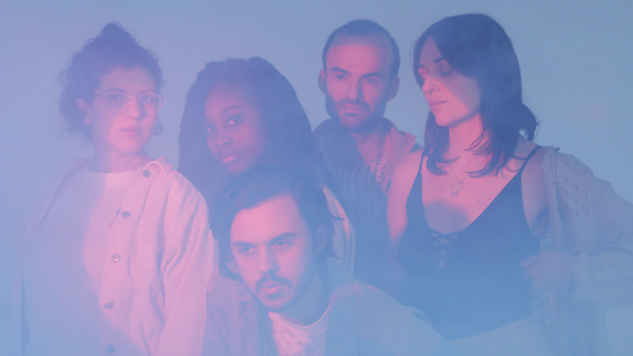 The New York-based group’s latest release 129 Dreamless GMG (out on March 16 through NNA Tapes) starts off wearing something silky and inviting, calling back to ‘70s and ‘80s sophisti-pop sounds. But as things settle down, the album becomes more abstract and unbound, bringing fractured collages and chanting harmonies that feels like alien communiqués. For our purposes, we’re going to concentrate on something that resides in the seductive side of the equation. “Gun-metal Grey,” the lead track from the new album, is a falsetto-led dreamscape of color-drenched synth clouds and an almost mechanical beat keeping everything quietly steady and secure. If that doesn’t sound enticing enough…just wait until the sax solo kicks in. That will surely rocket you right into the heavens. Check out the track below and then look upon Erica Eso’s upcoming tour dates.